To find out more about Winners’ Circles in Illinois, please contact Toy Beasley at tbeasley@tasc.org or 309-868-0681, or at TASC’s toll-free number: 855-827-2444. 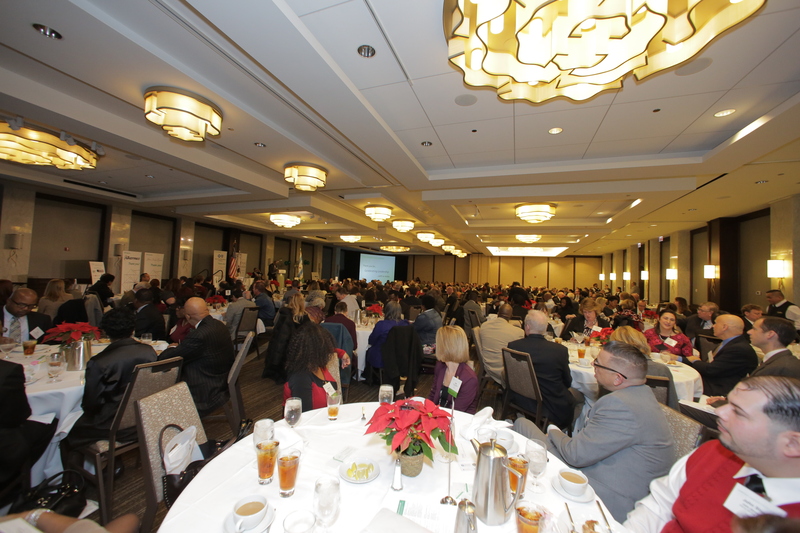 (Chicago) – TASC submitted comments for the May 19 briefing of the U.S. Commission on Civil Rights on Collateral Consequences: The Crossroads of Punishment, Redemption, and the Effects on Communities. These barriers are mirrored in Illinois, and are experienced by TASC clients, even decades after they have paid their debt to society and resumed a law-abiding life. Barred access to employment and housing opportunities also create added challenges for individuals who are also striving to overcome substance use and mental health disorders. [Barriers to reentry and disproportionate minority contact are among] the reasons that TASC actively pursues strategies and opportunities that reduce the number of people entering the justice system. We seek to divert people away at every intervention point, and we promote avenues to health and recovery in the community so individuals do not return to the system. We worked with and drafted reports on behalf of the Illinois Disproportionate Justice Impact Study (DJIS) Commission and Illinois Racial and Ethnic Impact [REI] Research Task Force) to evaluate and address disparities in the justice system. We conducted several surveys of diversion programs across the country and in Illinois that prevent criminal convictions on record, offering observations and recommendations for improvement and expansion. We seek ways to improve access to healthcare coverage for those who come in contact with the justice system. Recently we have collaborated with jurisdictions in exploring law enforcement diversion practices for drug-involved individuals, a need that has become even more visible and accentuated in the midst of the opioid crisis. We recognize that there are many individuals in the justice system who are less likely to return to the system if they have access to behavioral health services, and we know that a criminal record acts as a barrier to recovery, restored citizenship, and community reintegration. Improving access to and connecting justice-involved populations to community-based services may help reduce the racial disparities that exist throughout the criminal justice system. It is good health policy. It is good justice policy. It is good public policy. In our decades of work in these fields, we have made a number of observations about the state of safe, responsible criminal justice diversion that we hope will inform the Commission’s work. The criminal justice system has become a de facto societal response to substance use and mental illness. Across the U.S., criminal justice systems are managing record numbers of people, with rates of substance use and mental health disorders that are much higher than those among the general public. More jurisdictions are focusing efforts to leverage resources toward management of these disorders in the community instead of the justice system, seeking to prevent taxpayer costs associated with incarceration and recidivism, as well as to support restored citizenship and second chances. Numerous factors have led to broad-based calls for criminal justice reform. In recent years, a confluence of factors has created fertile ground for broad-based improvements to criminal justice policy and practice. These factors have included overburdened courts, crowded jails and prisons, strained government budgets, advances in the science of drug use intervention and recovery, shifting public attitudes about drug policy, awareness of the negative and residual impacts of justice involvement on families and communities, attention on the disparate burden of justice policies on racial/ethnic minority communities, and a preponderance of research on the effectiveness and cost efficiency of alternatives to incarceration. Diversion policy should be focused on systems rather than programs. Modern justice policy is beginning to adopt public health strategies, focusing on broad-based, systemic intervention, and the application of the minimum but appropriate amount of supervision, sanctions, accountability, services, and resources to achieve the intended result. Meaningful diversion can happen at any point before conviction. Initiatives can occur at points of contact with law enforcement, prosecutors and public defenders, pretrial services and probation, the judiciary, and even the jail. In cases where diversion before conviction isn’t an option, treatment-based alternatives to incarceration can prevent recidivism, taxpayer costs, and deleterious effects of confinement. Evidence-based practices should inform decision-making. The most effective response to justice-involved individuals with substance use and mental health issues is a locally defined balance of supervision, accountability, and community treatment and support. What is deemed appropriate should be driven by the ever-expanding base of research and data regarding which intervention models best serve a given population at a given point of justice involvement. A risk-needs-responsivity (RNR) approach offers particular promise in this context. 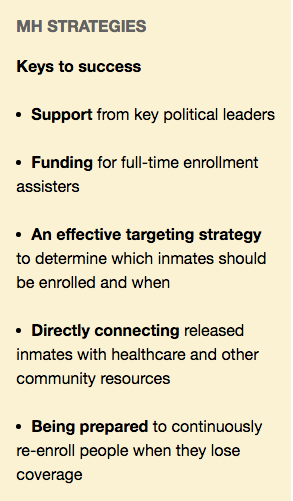 Considered a best practice for criminal justice populations, this approach assesses both the risk of recidivism as well as needs related to substance use, mental health, and other social and environmental conditions, and determines the appropriate type and dose of treatments and other services necessary to maximize justice and health outcomes. Responses should be data-driven, which may mean changes in methods and resource allocation related to data collection. Justice, health, and community resources should be allocated to those programs that demonstrate the greatest capacity to reduce recidivism, protect public order and safety, promote public health, and promote equal and fair access to alternative options, while also mitigating the need for costly justice supervision. These determinations will be most successful if uniform data are collected and used—including measures related to the race/ethnicity of participants—and if programs take formal steps to develop standardized outcome measures (cost-, public safety-, and public health-based), and measure, analyze, monitor, and share results. Arbitrary prohibitions on eligibility are counter-productive. Many jurisdictions still set limits on participation in diversion programs based on offense history or type, such as accepting only people with first-time or “low-level” offenses. Instead, jurisdictions can adopt strategies and interventions that focus on those individuals most likely to recidivate, and that consider factors other than just current charge and criminal history in determining an intervention plan (for example, through the use of individualized risk and needs assessments). The next generation of diversion programs should be able to determine and provide the appropriate level of services and justice supervision for each individual. The field is continuing to evolve. The development of a common, shared language to discuss diversion and alternatives to incarceration is still in process. The need for clarity and specificity around the description of programs and models will be of increasing importance in the growing exchange of ideas, innovations, and best practices. We are committed to continuing our work to connect people involved in or at risk for involvement in the justice system with community-based treatment and services for behavioral health conditions, to promote and support diversion and alternative options that prevent criminal convictions on record whenever appropriate and possible, and to advance policies and practices that reduce disproportionate minority contact with the justice system. 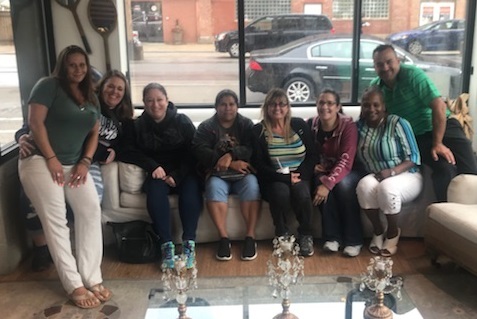 (Chicago) – Modern Healthcare has published an article on best practices for Medicaid enrollment at jail intake, noting approaches which TASC has helped implement in Cook County and is sharing with other jurisdictions around the country. Like inmates throughout the country, most people entering the Louisville Metro Jail lack health insurance and many suffer from long-untreated chronic conditions. At least partly as a result, some people, particularly those with serious mental illness and drug or alcohol addiction, keep getting re-arrested and returning to jail, increasing costs to taxpayers. In Louisville, Kentucky, there are processes to sign up people for Medicaid at jail intake, as well as provide support at release for individuals with multiple needs who often cycle in and out of jail. The program is based on initiatives begun at Cook County Jail in Chicago. In these locations and in a number of jurisdictions across the country, the aim is to increase the number of people who have Medicaid when they are released from jail, so as to improve their access to healthcare in the community and reduce their likelihood of recidivism. …But there are tough challenges, including poor coordination between local jail authorities and state Medicaid agencies, lack of funding to hire enrollment assisters, and chaotic conditions during jail intake, said Maureen McDonnell of the Chicago-based not-for-profit Treatment Alternatives for Safe Communities. In addition, there is sometimes political opposition to offering public health insurance to accused lawbreakers. 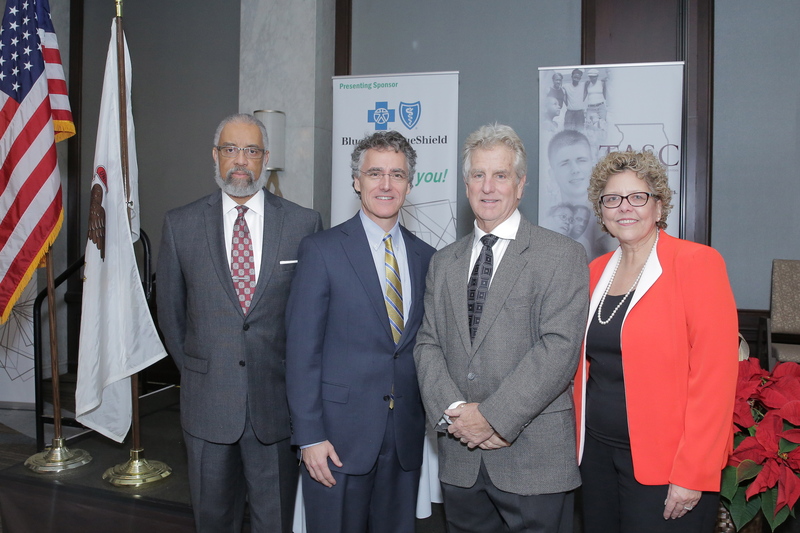 Through these collaborative approaches, and with Medicaid coverage, people with long-untreated substance use, mental health, and other medical conditions may have new means to access healthcare services. Read the full article at modernhealthcare.com. The U.S. Department of Justice has designated April 24-30 as National Reentry Week, highlighting efforts to support successful community reintegration for men and women who have been incarcerated. Renewed community reentry strategies are part of a wave of criminal justice reforms across the country. These initiatives involve reversing decades-old policies and practices that not only have fueled record incarceration rates, but also have created substantial reentry barriers for people who have paid their debt to society. Such barriers include practices and policies that bar or inhibit people with offense records from accessing rehabilitative care, employment, and affordable housing. The collateral consequences of a criminal conviction extend beyond the direct consequences issued by a sentencing court. These penalties and disadvantages are now well understood to contribute to stubborn recidivism rates. According to Department of Justice data, half of those released from state prisons returned within three years. Illinois’ recidivism rate mirrors the national trend, with 47 percent of individuals released from prison returning within that time frame. Compounding the harms of collateral consequences are disproportionately high rates of substance use disorders among incarcerated individuals, and sparse treatment and recovery support within institutions and following incarceration. Research has identified problem substance use as a “criminogenic” need—a dynamic risk factor that can be changed—and it is increasingly recognized by reform efforts that seek to apply evidence-based approaches to reduce recidivism. Faced with a prison population that increased by 650 percent since the 1970s and a system built to house 32,095 individuals with greater than ten thousand more than that currently behind bars, Illinois has undertaken efforts in recent years to reverse these trends. In 2014, the Illinois state legislature convened a bi-cameral, bi-partisan Joint Criminal Justice Reform Committee to examine the current system, study the impact of current sentencing structure, and consider strategies for reform. In 2015, Governor Bruce Rauner issued Executive Order 15-14, creating the Illinois Criminal Justice and Sentencing Reform Commission, and tasking it with a goal of mapping out strategies to decrease the state prison population by 25 percent within 10 years. TASC President Pam Rodriguez is an appointed member of the Commission. Proven, evidence-based, and nationally recognized reentry models already exist in Illinois. The Sheridan and Southwestern prison drug treatment and reentry programs offer drug treatment services, both within the prison facility and in communities after release, and comprehensive reentry services, including TASC reentry case management and recovery support. The programs have been rigorously evaluated. Individuals in the Sheridan prison reentry program have a 15 percent lower likelihood of return to prison within three years of release than comparable releasees who did not receive these services. Those successfully completing the program had even better recidivism outcomes, with a 44 percent lower likelihood of return to prison. The program operated at Southwestern Correctional Center has demonstrated comparable outcomes. A subsequent evaluation of the Sheridan program found that its recidivism benefits were still intact seven years after release. Additionally, the programs were found to have generated combined annual savings of $5 million in reduced incarceration costs. (Springfield) – TASC President Pam Rodriguez has been appointed to Governor Bruce Rauner’s Illinois State Commission on Criminal Justice and Sentencing Reform. Established by the Governor’s executive order in February, the new Commission will examine all aspects of Illinois’ criminal justice system, sentencing practices, community supervision, and the use of alternatives to incarceration. Twenty-eight members were named to the Commission, including lawmakers, researchers, nonprofit leaders, and criminal justice experts. Former U.S. Attorney Rodger Heaton, who was named in January to serve as the state’s public safety director, will chair the Commission. A primary goal of the Commission is to issue recommendations to reduce the population of the state’s crowded prisons by 25 percent within 10 years. “With the state’s leadership and all of us working together, I feel confident that we can achieve that goal sooner,” said Rodriguez, a projection she echoed in an interview with WICS in Springfield on Wednesday. The Commission will issue its initial findings and recommendations to the Governor by July 1, and a final report to the Governor and the General Assembly by December 31, 2015. 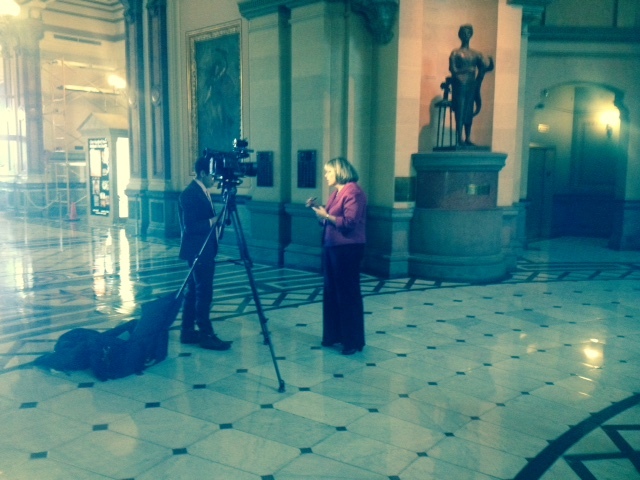 TASC President Pam Rodriguez, named to Governor Rauner’s criminal justice reform commission, is interviewed by WICS Newschannel 20 at the Illinois Capitol in Springfield.